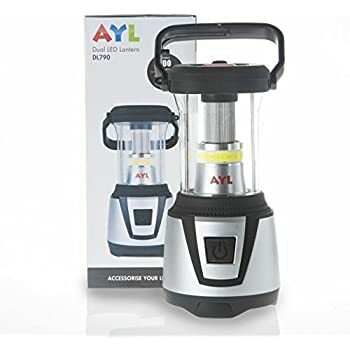 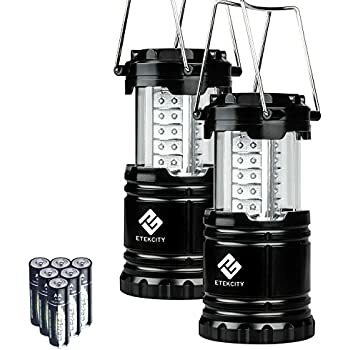 ILLUMINATE YOUR OUTDOOR QUARTERS: Pack this powerful, 2 in 1 lantern and flashlight on your next hiking, backpacking or other outdoor adventure and bring light to your temporary home in the woods. 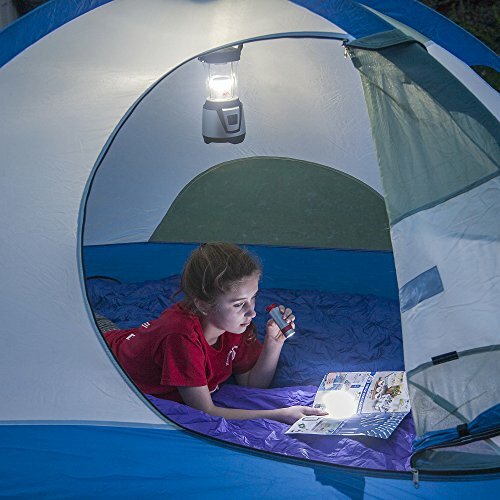 Thanks to the latest tech COB LED lights, this advanced model provides 360 degrees of maximum 700 lumens for you and your nature-loving friends. 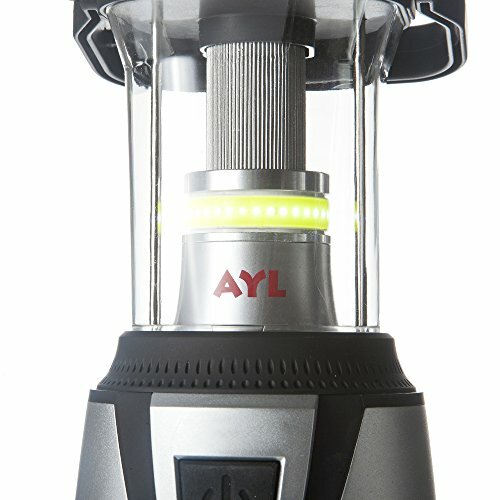 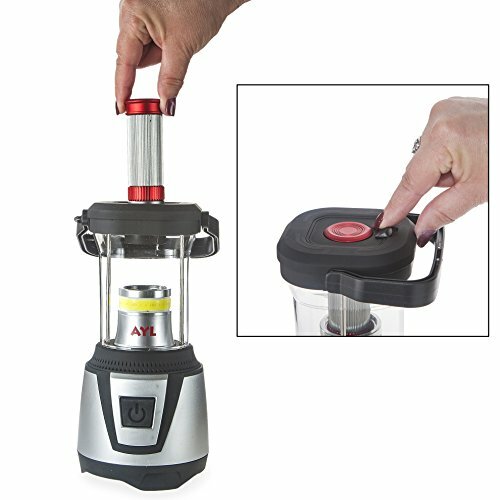 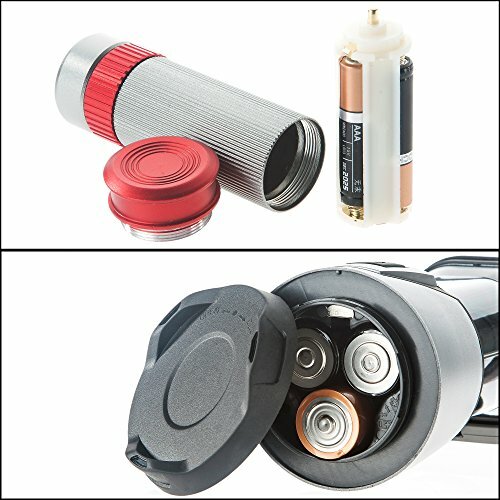 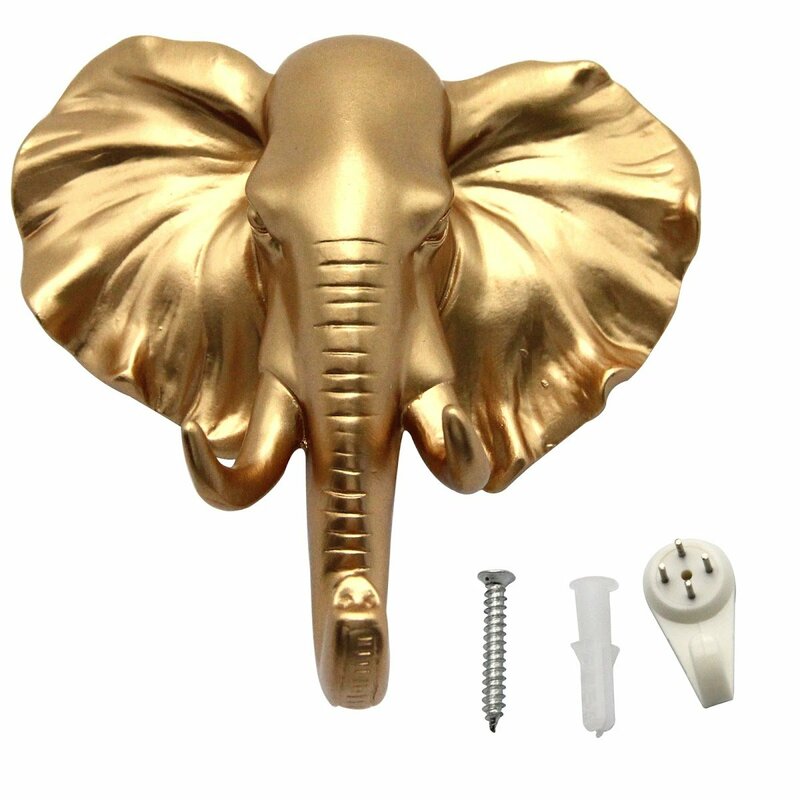 21 HOURS OF NON-STOP RUNTIME: Ideal for outdoors and indoors, camping, traveling, hiking, cycling, backpacking, fishing, hurricanes, emergencies and power outages, this battery operated model is able to provide up to 21 hours of continuous operation on a single set of batteries: 3 x D batteries for the lantern and 3 x AAA batteries for the mini flashlight (not included). 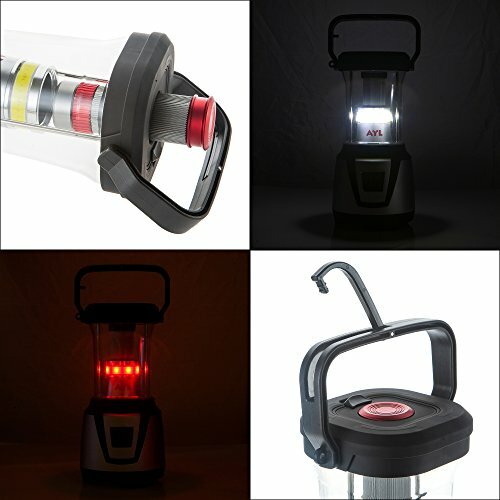 CHOOSE FROM 3 MODES: Boasting patented, 6W COB Leds (lantern) and 3W LEDs (flashlight), this camping lantern has three modes for versatility: 100% brightness to illuminate the entire campsite, 50% brightness for reading, and red strob lights to set the mood! 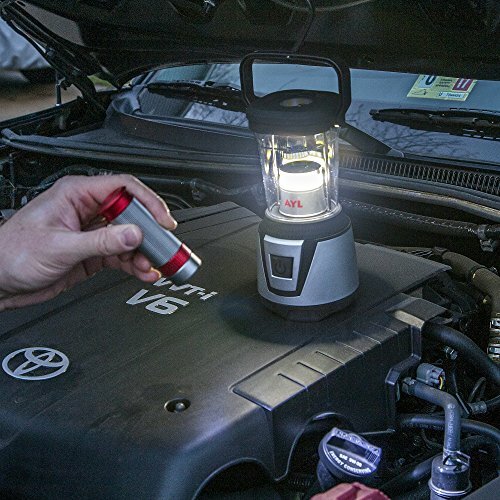 The handy, mini flashlight offers a maximum of 90 lumens output and is easy to detach from the lantern at just the push of a button. 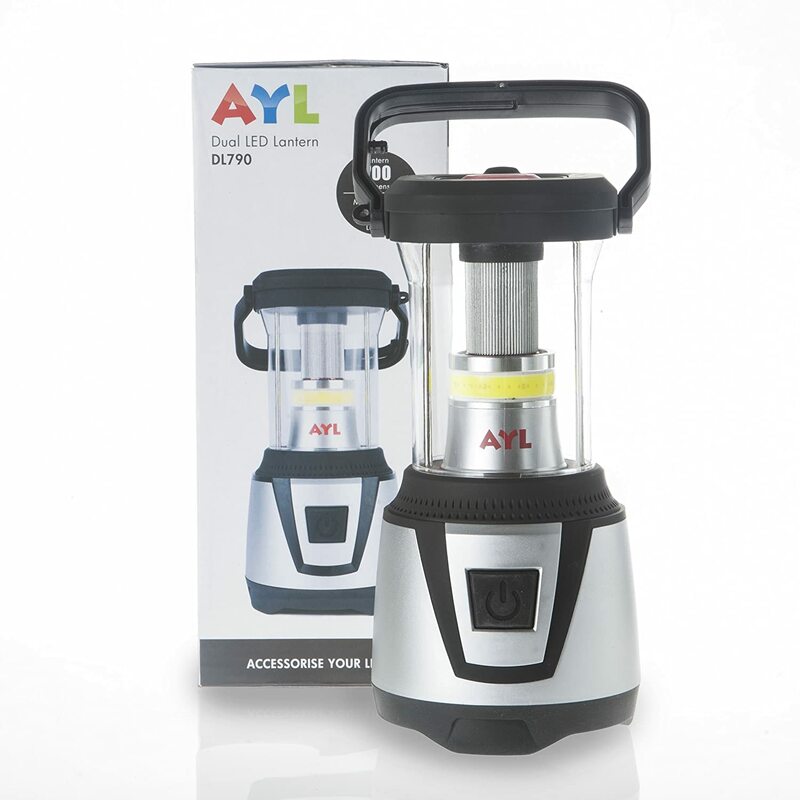 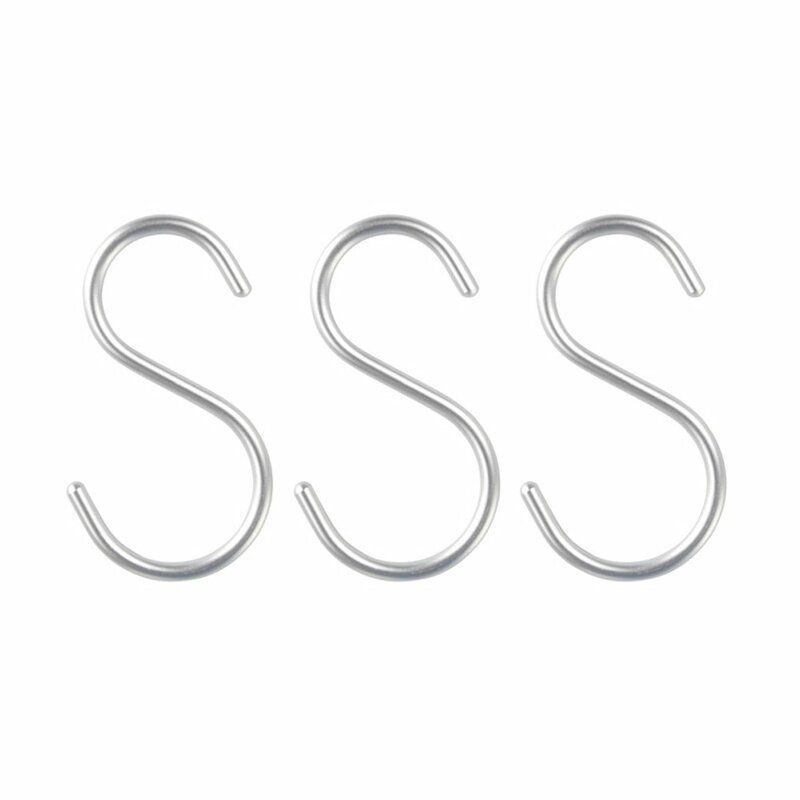 ALL WEATHER USE: With a durable, water resistant housing (IPX4 standard) that is designed to last for years to come, rain will never be an issue, so you can easily use your lantern to enjoy outdoor leisure all year round.